← New York Riesling Diary: Day 11 – Juliette Pope of Gramercy Tavern is the First Riesling Queen of New York! I guess that some of you are expecting wall-to-wall Riesling now that BEST WHITE WINE ON EARTH – The Riesling Story is out, but as much as I love Riesling it would be a terrible mistake to think that there are no other delicious or remarkable wines out there. 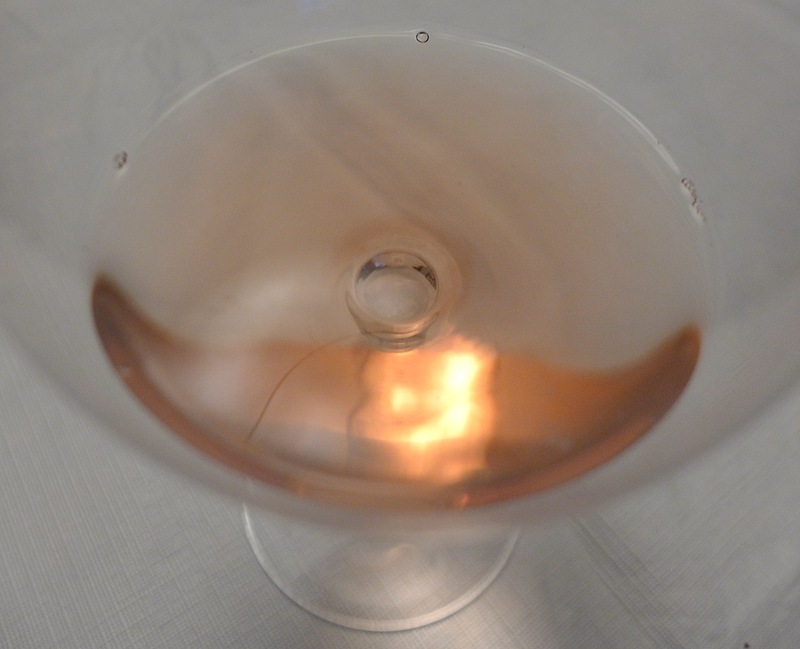 Exceptionally for my Wine of the Month, this time I present an image of the wine in the glass, because the color of the 2013 “Indica” Rosé is so striking and this photograph seemed to capture the way it shades from salmon pink into a warm copper tone. From that appearance, and given its origin in California, the first time I tasted it I expected a wine in the mold of Provencal Rosés, and it was quite a shock because I was totally wrong. Instead of being weighty (i.e. alcoholic) and supple it is sleek and light in body, effusively aromatic and enormously refreshing. What makes this possible is the moderate alcoholic content of 12%, daringly vibrant acidity and mix of aromas ranging from lemon and lime to redcurrant and something vegetal that I’m not sure how to describe, but which certainly gives the wine a decisive kick. I would never have thought that a wine from the unfashionable Carignan grape grown in Mendocino County could taste like this, and I promise you that enthusiasm for it is not theoretical. I’ve already drank several bottles of this great rosé. 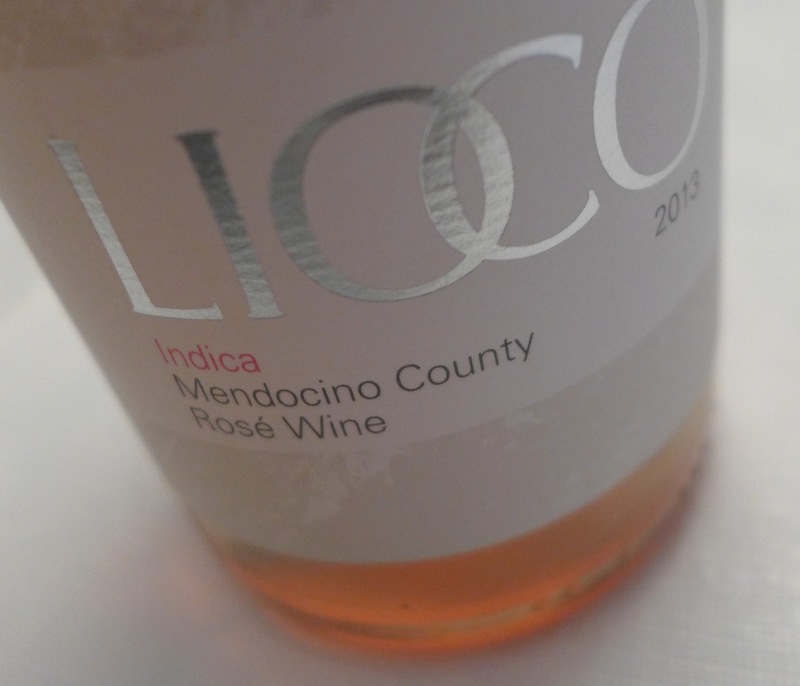 Here is one of the new wines of California which are redefining how the wines of this state can taste, and simultaneously developing new definitions for “delicious” suitable for the early 21st century. Beyond that, when temperatures climb into the 90s this wine is a perfect answer to the summer heat…that is if you don’t feel an overwhelming thirst for Riesling. This entry was posted in Home, STUART PIGOTT RIESLING GLOBAL, Wine of the Month. Bookmark the permalink.